Product #22030 | SKU XK-0979-UBK60-R | 0.0 (no ratings yet) Thanks for your rating! 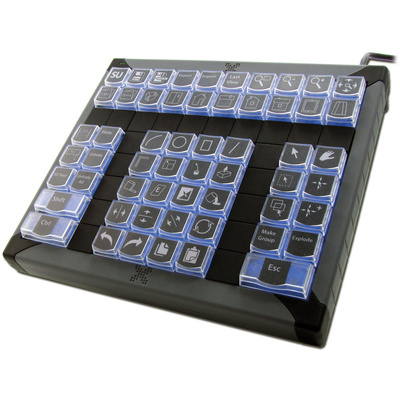 The X-Keys XK-60 USB Programmable Keyboard from P.I. Engineering is used by photographers and 3D designers, offers four groups of keys to organize similar functions and efficient access to each key and instant access to tools, macros, shortcuts, files, and directories. The configuration is made easy for keystrokes or complex macros when necessary. The XK-60 provides a versatile control panel for any computer driven application.